Mike here from B Method! Last week we discussed the difference between real weight loss and fake weight loss. Real weight loss is when you rid the body of actual body fat, and not just weight. When it comes to losing body fat (real weight loss), weight training is king. That may be contradictory to what you’ve heard or believe to be true but I assure you, it is true and we’ll talk more about why that is here. There’s no question that cardiovascular training such as going for a run, a long walk, using the elliptical, using an exercise bike feels good. Whenever we engage in any one of these cardiovascular exercises, we sweat and breath heavy, we get our heart rate up, and we increase blood flow throughout the body which is great when it comes to boosting both fitness and fertility. Often times, you won’t get this same level of exertion, the mental satisfaction of feeling like you worked hard, where you’re all sweaty and tired from a weight training workout as you will from a cardio workout. It’s quite possible to complete an entire weight training workout and not break a sweat. Your level of exertion and how much you sweat is not indicative of how effective your workout was. That’s a very important statement to understand. You may even want to take a second right now to reread that last sentence. Better yet, let me just restate it – it’s that important. There’s something to be said about getting done your workout and being all sweaty, tired, exhausted, and out of breath – I get it. I like feeling that way too. You feel like you worked hard and got in an awesome, effective workout which you probably did. Question is though, was the cardio workout as effective as a weight training workout would have been when it comes to losing body fat? The answer to that is, not a chance. Cardiovascular workouts such as running, walking, biking, swimming, the elliptical, tennis, hiking, etc. are all excellent forms for exercise for overall health and wellness. If your main goal is to lose weight, lose body fat (real weight loss), then it’s weight training and not cardiovascular training you should be focusing on and doing more of. 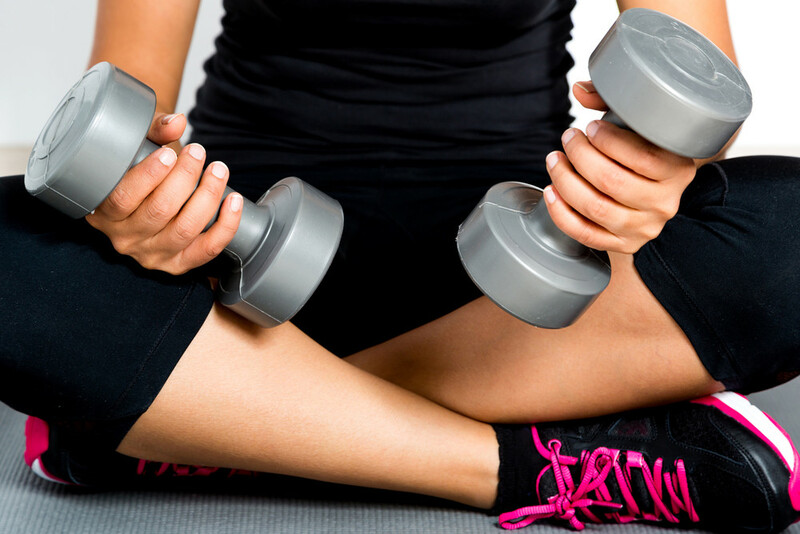 Strength training is the number one way to build muscle tone. The more lean muscle you have, the more calories you will burn per day, without moving a single one of those muscles! It’s possible because lean muscle is denser than fat and requires more fuel, more energy, more calories throughout the day. What that means for you is a higher metabolism, more calories burned throughout the day, a leaner and more fit and fertile frame than if you just focused on cardiovascular exercises. Don’t get me wrong, I’m not say to hang up your running shoes and give up doing cardio, absolutely not. Cardio is one of the best ways to reduce stress which is critical when it comes to boosting fertility. What I am saying is to make sure you are adding in weight training workouts throughout the week in addition to the cardiovascular workouts you may already be doing. Studies show that you can get better results, both aerobic and muscle benefits, from three 20-minute strength circuits a week than you can from doing 60 minutes of cardio five days a week. Here’s a 20 minute strength circuit workout you can follow if you need one. When it comes to exercise, it’s all about quality not quantity. While an hour of cardio will have you burning calories at a faster rate for hours after you’ve finished your workout, a 30 minute weight training workout will have you burning calories at a faster rate for several days afterwards. The reason being is your body has to work harder to recover from the weight training workout than it does from the cardiovascular workout, therefore keeping you in a higher calorie burning phase for a longer period of time. Go ahead and continue to get in those cardiovascular workouts, just be sure to add in some weight training workouts as well. You’ll definitely notice and feel a difference and be another step closer to being fit and fertile.